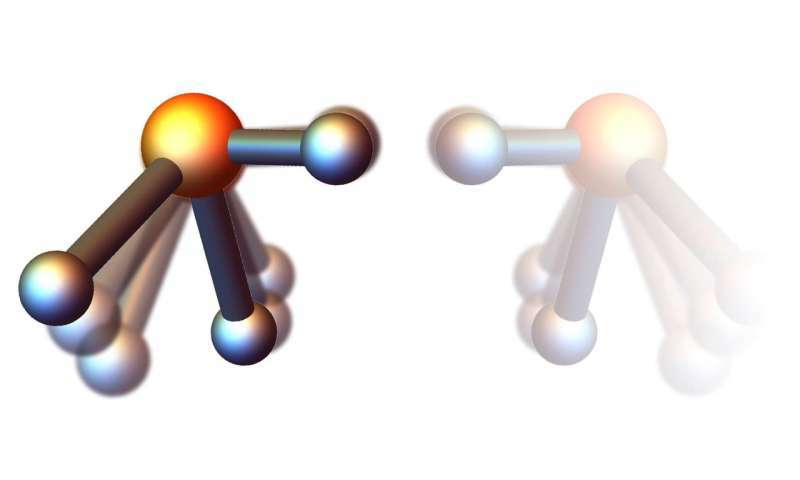 Exploring the mystery of molecular handedness in nature, scientists have proposed a new experimental scheme to create custom-made mirror molecules for analysis. The technique can make ordinary molecules spin so fast that they lose their normal symmetry and shape and form mirrored versions of each other. The research team from DESY, Universität Hamburg and University College London led by Jochen Küpper describes the innovative method in the journal Physical Review Letters. The further exploration of handedness, or chirality (from the ancient Greek word for hand, "cheir"), does not only enhance insight in the workings of nature, but could also pave the way for new materials and methods. Like your hands, many molecules in nature exist in two versions that are mirror images of each other. "For unknown reasons, life as we know it on Earth almost exclusively prefers left-handed proteins, while the genome is organised as the famous right-handed double helix," explains Andrey Yachmenev, who lead this theoretical work in Küpper's group at the Center for Free-Electron Laser Science (CFEL). "For more than a century, researchers have been unravelling the secrets of this handedness in nature, which does not only affect the living world—mirror versions of certain molecules alter chemical reactions and change the behaviour of materials." For instance, the right-handed version of caravone (C10H14O) gives caraway its distinctive taste, while the left-handed version is a key factor for the taste of spearmint.